Oculus Touch controllers pre-order now available for $199. Those who pre-order now will get two Touch controllers, tracking camera, a connector for Rock Band VR, and two games(party game VR Sports Challenge and first-person magic battle The Unspoken). If you already have a headset, then you can pre-order anytime before October 27th. The stock is limited for new users. 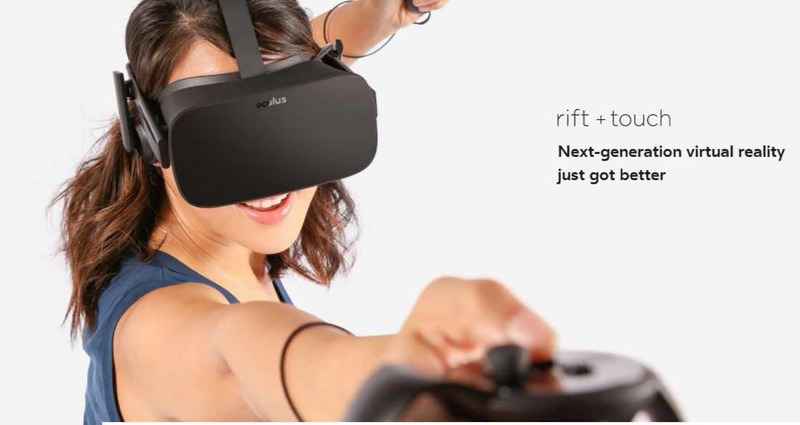 Bot Rift and Touch controllers will cost you $798. Early Oculus Touch purchasers will get access to more than 35 games with the controllers at launch, including sci-fi survival game Arktika.1, zero-gravity traversal game Lone Echo, and bullet-time shooter Robo Recall. Oculus will also sell additional room-scale sensors from December 6th for $79 each.